We have traveled in both north and the southern parts of Vietnam. Northern parts has more trekking and more historic sights. While the southern parts have a more cultural and urban vibe. Can Tho is a central part of southern Vietnam. 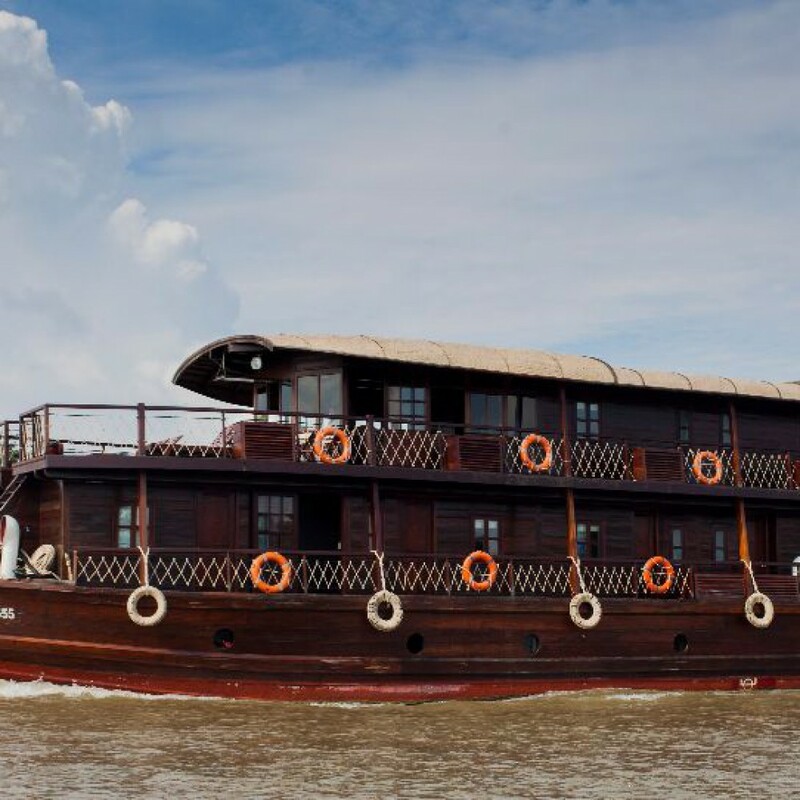 Being a connection point for many travelers since it is the best place to start the Mekong delta exploration. Can Tho itself has temples, pagodas and an amusement park. But that’s not what people come here for. The Floating market has been drawing tourist to Can Tho for centuries and has now become one of the top 10 things to do in Asia. Can Tho has a big market along the harbor and it is not hard to find tour vendors trying to sell you tickets. The tickets can cost 400-500 Vietnamese Dong depending on the seller. If you are several people joining in on the tour the price might be better. Say you would get tickets for 400. But if only one of you decides to go on the boat, the price would be 500, because they think it’s more expensive taking only one passenger. You can choose if you would like one hour tour or more, usually one to two hours. We took the one hour tour and went in the boat after a bit of hard bargaining. The boat took us out and it was clear to us that this was a huge tourist attraction. We could see the floating market in the horizon but the boats with tourists were in between them all. We got to see the closest floating market with the big boats. The boats are like small ships where the locals keep their belongings and stock in the cabin and they sell the fruit, or goods, on deck. We saw mainly pineapple and some other fruit we haven’t tried yet. But not as much fish or other goods like spices that we imagined would be sold here. That’s at the other market. The tour guide drove us around the market and we stopped at a boat and went on board. We were served freshly cut Pineapples that were delicious and would later be introduced to another cabin on the opposite side of the canal to get more fruit if we wanted. All in all it was a good tour, but not quite what we had seen from pictures and videos. Next time we will go for the longer tour too see the low floating market with small wooden canoes with fish, spices and other goods. That’s what most people come here for. Can Tho in general is a really relaxed city with a nice harbor area with urban cafes and eateries. The promenade makes a perfect ending of a Floating market tour. In the evening, just a block or two from the river there is a great night market. There is a whole area for food where locals and tourist gather to hang out, have baby squid or a fried shrimp tortilla. The Southern Vietnamese seafood is really put on it’s best display in Can Tho. Can Tho is a great way of getting to other cities in the southern region of Vietnam and a great pit stop if the journeys across the country gets too long. We are glad we made a stop in Can Tho and the floating market and it gave us the best starting point to explore the rest of southern Vietnam.